You don’t need to be a scholar to understand that there’s something not right with the world, and that it’s been going for some time now, only to become worse in the future. More than half of the world is basically uninhabitable. Some worry about not having any food, and some worry that they’ll wake up to a shower of bombs. Some even worry about crippling sanctions, the kind that some GOP candidates brag about to look “tough,” the same kind that some democrats assuage as loving and peaceful. For this half of the world, life itself is fleeting. The other half of the world, the “civilized” West, are starved in another way. Spiritually. We are the cogs in the machine. We wake up, we go to work, we come home and watch TV, and then we have the nerve to wonder why our lives are not fulfilled. We no longer seek what’s over the horizon, because as a people, we feel like we know what’s over the horizon: not much. What is the cause of all this? The source of this misery? Well, that’s for another day! In the meantime, I want to offer something different. Unlike other troofer blogs, I’m not only concerned with America, even if I’m American myself. Like I always say to my teddy bears, in the new world order, wherever you go, there you are. The *whole world* is under assault. These psychopaths literally know no boundaries; there is no end to their depravity and lust for power. I know that something has got to give. The future will look very different from today, no matter what happens. If the enemy claims total control, there will be nothing but a hellish death, a nightmare upon earth. On the other end, if we cure ourselves of this parasite that has sucked from the essence of the world for a hundred years, if we do that then there will be another renaissance, and this time it will be all around the world. We’ve already taken steps in both possible futures. The question is, what will we choose? Liberty or tyranny? 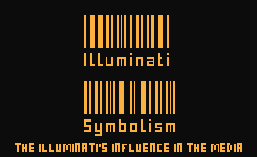 This entry was posted in Illuminati, Illuminati News and tagged illuminati, illuminati symbolism, mankind at the crossroads, milkyjay, new world order. Bookmark the permalink. Fiecare camera are grup sanitar, dus, frigider si televizor.